Manthan delivers all the critical capabilities your data-driven business needs. Each user has a rich, contextualised and personalised user experience with our out-of-box, AI powered voice and text interface. Design absorbs the complexities of the engineering beneath. A unique interface makes sophisticated analytics easy for business users. With a prescriptive framework for decision-making on-the-go. A single unified architecture seamlessly integrates data management, data discovery, advanced analytics, reporting and visualization. Engineered for high scale, performance, reliability and security on the cloud. Partners leading public clouds; certified AWS Advanced Technology Partner. Runs natively on Big Data/Hadoop. Fastest RoI with extensive infrastructure provisioning capability plus connectors to all major business and consumer systems. Machine Learning embedded into the platform to build models for autonomous decision making, with business-context aware visualization capabilities. Makes it easy for all to benefit from analytics. Our expertise is focused on retail and consumer business with 12 years of domain expertise. This helps us understand and address the needs of every role in these businesses. Execution engine provides the capability to complete the insight to execution framework – with ingestion of the data in real time, computing and scoring the models and making insights available for the applications. Provides every user with a complete solution. .
Real-time processing is achieved with both stream processing and micro-batching. Frameworks used are AWS Kinesis, Spark Streaming, Apache Storm and Apache Flink. Real-time data processing helps trigger action upon real-time ingress which can be achieved using event-driven programming paradigm. This is achieved by leveraging AWS Lambda or Azure Functions, which shares event-driven and compute-on-demand experience. Manthan brings the ability to consume data in real-time, vital to real-time end consumer systems. This is achieved by leveraging AWS API Gateway or Azure API Management. Out-of-the-box applications as well as the ability to build custom models. Manthan provides a business use-case layer on top of an advanced modeling platform. The user provides the business assumptions, like the type of segmentation that needs to be built or the products for which sales needs to be forecasted. The system does the heavy lifting and creates the best fit model taking into consideration the type of data available. The platform also provides a scalable on-demand infrastructure that is initiated based on the requirements of the algorithms. Various algorithm types are supported by the platform including clustering, classification, regression, association mining, recommendation systems, etc. The platform provides a source of clean customer data and makes it easy for the data scientist to explore data exploration, test hypothesis and prepare data. A finalized model can be imported into the system, integrated with business applications through API interfaces and run in real-time. Meet Maya, our unique conversational UI. Rich, conversational NLP-based interface (supports both voice and text) can answer all types of questions across the analytics spectrum - descriptive, diagnostic, predictive and prescriptive. Platform allows the NLP interface layer to activate all underlying Artificial Intelligence / Machine Learning models to answer sophisticated business questions via a conversational interface. Information is shared differently (dashboards, detailed reports, maps, charts and graphs) based on the type of the analysis and decision points. Analysis explored further to understand causal factors and root cause analysis to make effective decisions and then shared with the others for actions. Manthan supports all the above in the Analyze-Decide-Do continuum under the common framework and single user interface with consistent definitions across the layers. Designed to democratize data and put insights in the hands of the decision maker. Prebuilt analytics for various decision scenarios and structure for rolling out the same to users through role based mapping. With centralized definitions and templates, every user will have analysis in a consistent manner. All definitions are built using the common metadata which provides the business definitions to the users. Users can create their own analysis and visualizations using the common metadata guaranteeing consistency of definitions. With common metadata framework and GUI-driven development tools, definitions and analysis can be aligned to the changing business needs or extended to the new business scenarios. Most analyses can be done by business users themselves using the self-serve capabilities. Customers have extended Manthan models to other areas using development tools. Predictions and prescriptive recommendations with descriptive reporting for users to compare the business understanding with the recommendations and immediately roll out actions. Descriptive analysis to understand how the business is doing, what is working and what’s not, identify opportunities through reporting, dashboarding, proactive alerts functionality. Learns from data, makes predictions on data to identify business objectives and makes recommendation based on the objective. State-of-the-art data centers with multi-level security perimeters, fire, water, climate, temperature protection fault-tolerant design. 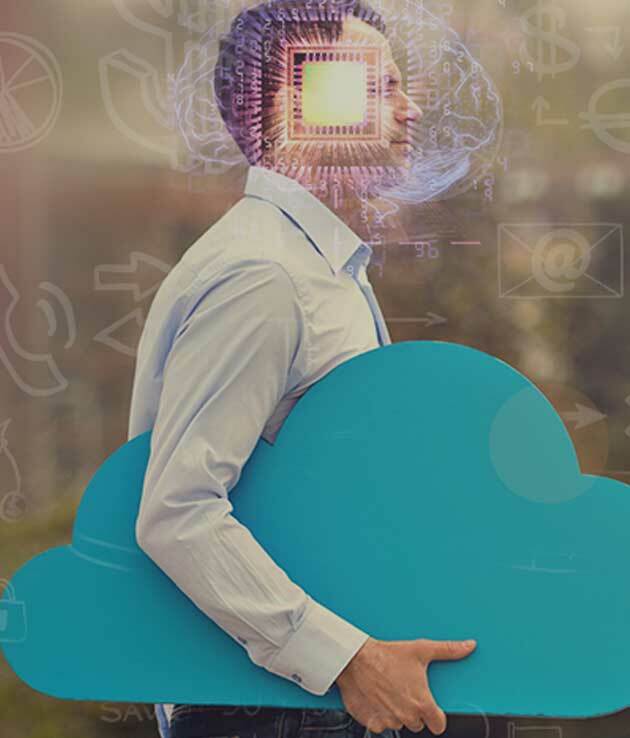 Highest degrees of business continuity assured through advanced technology partnerships with leading cloud providers like Amazon Web Services and Microsoft Azure. Secure Network Architecture, firewall and boundary devices control access. Isolated dedicated Virtual Private Cloud (VPC) with IPsec Virtual Private Network (VPN) provides an encrypted private on premise to cloud integrations. Application firewalls, secure application design and deployment verified by third party assessments that include structured review processes based on best-inclass practices influenced by standards such as ISECOM Open Source Security Testing Methodology Manual (OSSTMM), Open Web Application Security Project (OWASP), US National Security Agency (NSA), ISO 2700 Information Security Standard. Supports best-in-class multi-factor authentication integrations, integration to Enterprise Class Identity management systems on the Cloud and on premises. Data secured within private subnets within VPC and Data at Rest stored on encrypted block and object storages. Data is stored on encrypted block storage and encrypted object stores. Data on volumes, snapshots are encrypted with AES 256 cryptographic algorithms. Sensitive and confidential data is encrypted through strong cryptographic algorithms. Data is accessible only via the application through SSL over HTTP. Switch On is Manthan’s proprietary infrastructure provisioning capability with connectors to all major business and consumer systems. Manthan’s ready-to-deploy data model, process and functional use-case enabled robust analytics are delivered in a matter of days. Data onboarding can be enabled in staged manner to support the usage of the system with integrated data. Data onboarding process packs in retail scenarios of data behavior like late polls, corrections, audit corrections and calendars that help in achieving greater accuracy, faster. Users are onboarded with business scenarios during the functional onboarding phase. Manthan enables connecting data from disparate sources and managing it for longer periods of time and applying it across machine learning, business intelligence and applications. Manthan data lake is built over latest development using the object store, encrypted and compressed format, considering data life cycle, end use and security needs. Batch and real-time pipes build the data at common place. Transformed and central data store can be managed through a simple click and drag interface. • AI/ML routines help in connecting data points like single customer view by linking activity, predicting missing values, text analysis – to recognize entities and sentiment applied during central data management to create uniform cleaned data for all consumer applications. Manthan WLM//heuristics help in scaling the computing power to the work demand – to manage the terabytes of data in and efficient manner for the incoming use cases. Manthan has connectors to more than 400 systems covering enterprise systems, public databases, SAAS applications, files and databases. Enterprise connectors have an understanding of the entity model of the systems and readily process data into the analytics framework, reducing the time required for enabling applications. Manthan connectors can source data from enterpriser sources like SAP, Oracle, Navision, JDA MMS, JDA PMM, Retalix, EPICOR etc. Loyalty sources like SalesForce, Dynamics, Sugar CRM and campaign management systems link into the Manthan platform. Apart from enterprise systems, Manthan has connectors to process data from social, syndicated sources such as Nielsen, Google Analytics, weather, etc. Gartner’s 2018 Hype Cycle for Retail Technologies. What you need to know.